Have you ever watched a presenter and thought to yourself, yes that’s a great idea BUT… What follows is never good. Fill in the blank; not with my students, I don’t have time, we don’t have devices. When I present I love to show real work from the classroom. 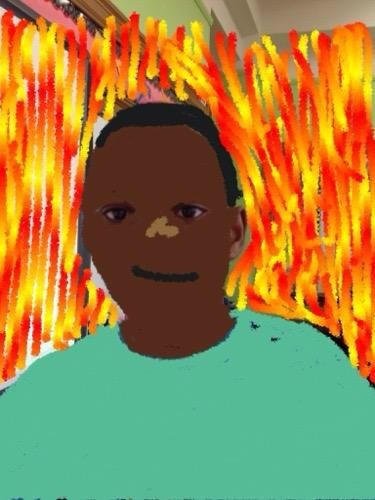 Students in action, photos, student work, and videos that kids have made. I select these carefully to represent students of all learning abilities. I never show just the “smartest” students. That’s not authentic. Yet there has never been a time when I haven’t looked at evaluations and seen the accusing phrase that goes something like “but my students are English Language Learners, or have IEP’s, or are low income.” My students were all of these things. The work you saw, the clips you viewed were low income students and students with IEPs, students with no label who still struggled, students somewhere in the middle, and yes sometimes the more accomplished. I’m not kidding I’m really not. But that’s not why I’m writing this post. I’m writing because I want to address the other comment. 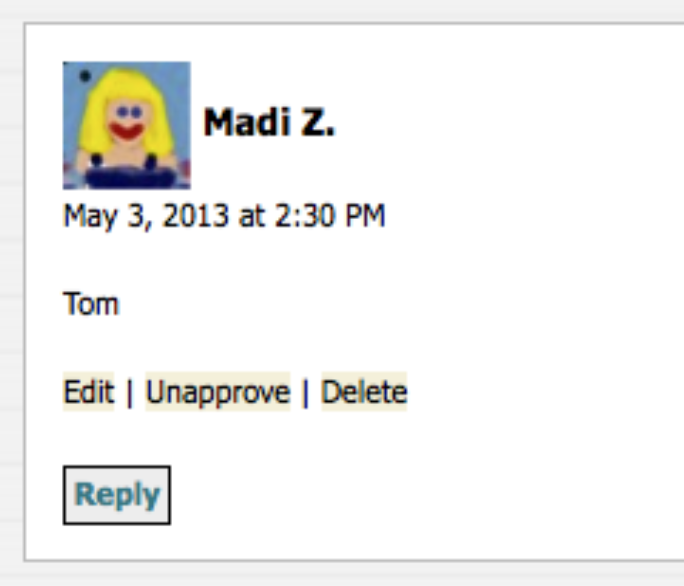 The comment that went something like “How can I do this without 1 to 1 iPads?” These comments were much more prevalent. They were from naysayers to teachers who really did want to start tomorrow but just couldn’t wrap their minds around how to make it work with what they had. I’m writing this post to tell you I’ve been to the other side. Last year I left my classroom, 30 ipads, and ten years worth of books and furniture grants to a very lovely teacher. 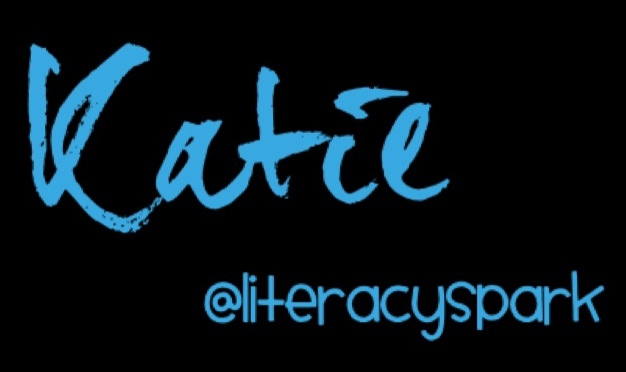 Now my job is to coach people in literacy and technology and lots of things in between. Next year they will all have iPads but this year…yuck. Shared carts of old netbooks that take forever to boot up and even longer to log in. Missing keys, odd trackpads, unfamiliar programs. No shiny iPads, no quick fixes. I’m living in the other side. I’ve seen your BUT. I get it. And yes it’s hard, it’s challenging some days and sometimes I see in the eyes of teachers that they want to give up and go back. But then they see their students light up and give a little more, and help each other out, and do something amazing. Then they learn something new and feel that spark, that fire again! I’ve been to the other side and we aren’t letting it stop us. We can do it! You can do it! Let’s just try. This is the third post in a series about making digital artifacts of student learning work for you as a teacher. In this series we will discuss the types of digital artifacts we collect, how we manage them, and what to do with all of those great pieces of evidence of student learning. You can read the first post in this series here and the second post on ideas for managing artifacts here. We’ve been exploring using digital artifacts in the classroom. So here are three simple ideas for getting your students started with digital artifacts tomorrow! Snapshot and Reflection: Ask students to take a picture of a work product that you would like to have them reflect on. 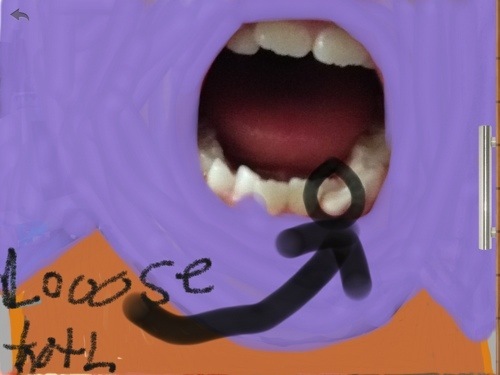 Then incorporate this into a reflection artifact by annotating directly on the image (Skitch) or adding some writing (Pages/Keynote/Google Drive) or spoken reflection (Sonic Pics). Students might save this and add to it over the course of a unit or during the week. Or perhaps they share with you immediately for a goal setting conference. Video Reflection: Using a built in recording program and camera ask students to stop by the reflection book and share something they learned today. 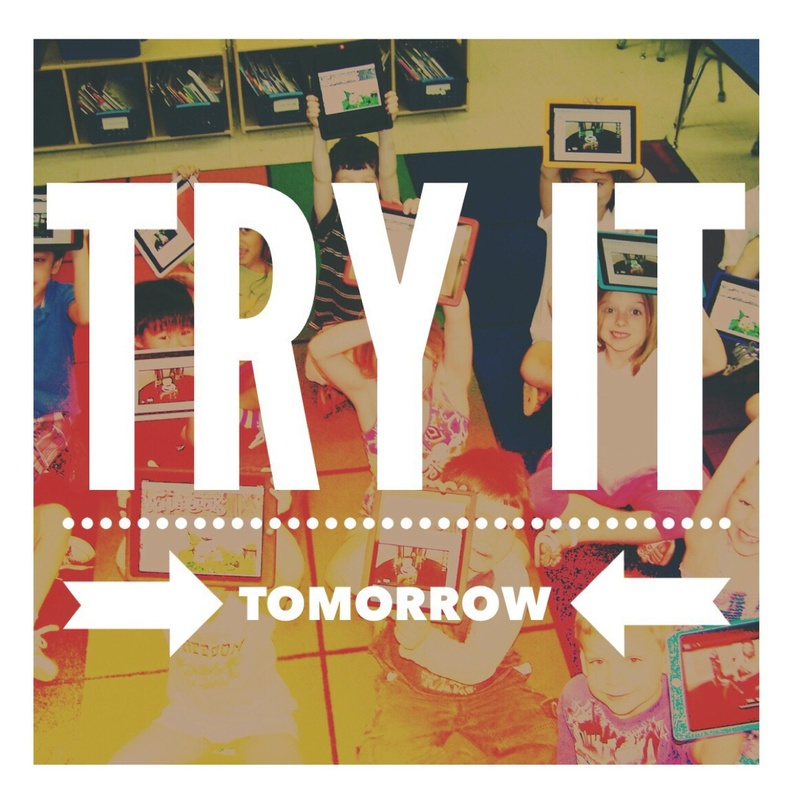 If you have multiple devices students can work on a rotating basis. If you only have one then set up a quick recording booth and have students cycle through during the day or week. You might ask them to talk for two minutes about how they applied a reading strategy during independent reading, reflect on their observations from a science experiment, or share a portion of writing where they accomplished a goal. Padlet Exit Ticket: You know we couldn’t leave Padlet out of this one! It’s such an easy and versatile tool. Ask kids to take a few minutes to share a new piece of learning, lingering question, or even record a quick video right into the padlet. You can guide students with a specific question or leave it more open ended. Looking for a fun project that builds reading community and sets the tone for connected learning throughout the school year? Then join the It’s Monday: What Are You Reading project! After watching teachers post book reviews to Twitter each Monday using the hashtag #IMWAYR, we decided to take this practice to our students. Each Monday across the school year our kiddos shared their reading lives and embraced the pop culture selfie fad by posting a book “shelfie” and a short book review to a Padlet wall (for more ideas on using Padlet in the classroom, read Katie’s post on social media) . 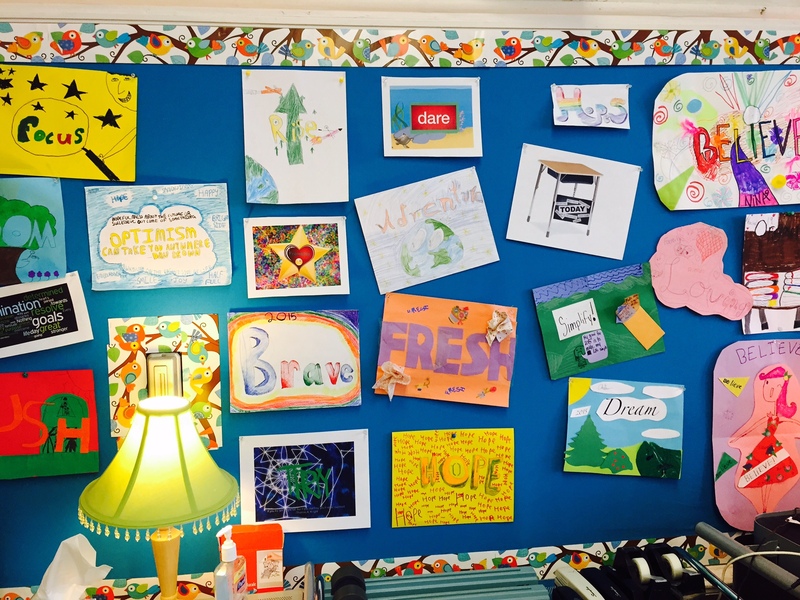 This collaborative wall served as a visual book recommendation chart that was accessible to all students. It laid the foundation for a strong reading community as this weekly routine reinforced the belief that “we are readers.” It also provided me rich data about student reading lives, interests, and their ability to read, write and view to learn. Most importantly, it provided an authentic audience for book reviews as students built voice and celebrated their reading with each other. Once we saw the impact this had on our students and across our school, we opened the #IMWAYR project to classrooms around the world. From Kuala Lumpur to Vancouver, to Stockholm and D.C. we talked titles and shared our reading lives. Initially, our students noticed the different titles that kids were reading, but after a short period of time, they began to notice similarities and commonalities between countries and classrooms. When kids observed that students in Singapore were also reading Wonder, or that learners in Detroit liked Babymouse just like they did, it fostered the idea of connected learning. Many teachers partnered students virtually from different classrooms who had a shared interest or wanted to learn about a book from a peer. Kids found onscreen reading buddies or even sometimes that one other person who shared their reading passion; along the way they built understanding that we are all members of the global learning community. I shared this project at a number of conferences this summer and just last week the amazing @MrDulberger tweeted me his book shelfie which spurred the idea for the Teacher Edition It’s Monday: What are You Reading project. We know that mentor text matters. We use books in reading, writing and math workshop to set an example or fuel ideas for what kids might do independently. We need to extend this mentor text model into our technology workshop and help kids envision the possibilities. 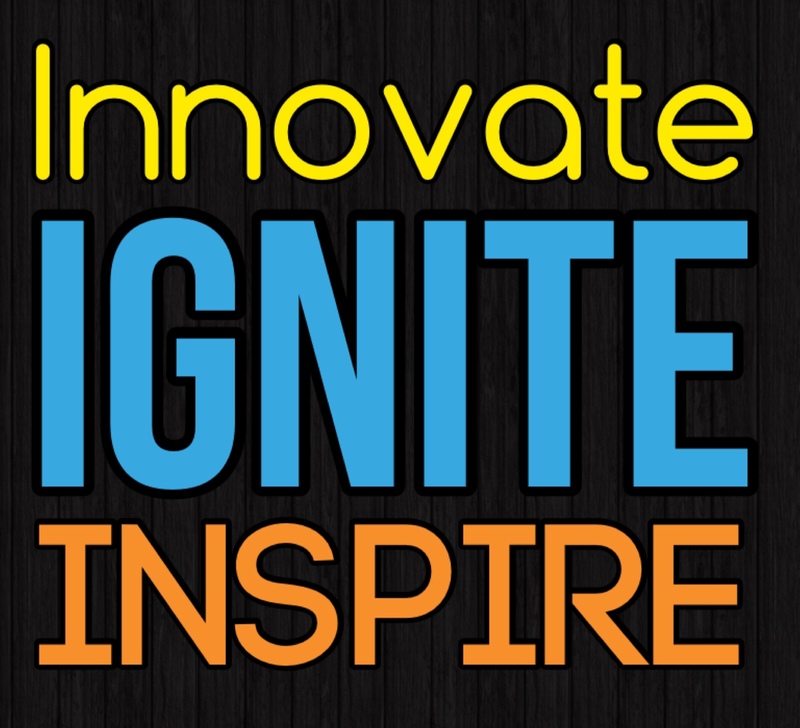 We have the awesome opportunity to show them what connected learning looks like and sounds like, so let’s do it! We invite you to join the #IMWAYR project and post a book shelfie and a review to this Padlet wall. Please make sure to share your location in addition to the review so we can track posts with our students. We hope this project introduces you to a few new titles and serves as a resource you can use to build a reading community and habits for living across the school year. Happy reading friends! I first heard of One Little Word over at Two Writing Teachers. What a wonderfully simple way to focus your energy for the year. No messy resolutions, just one little word. So I thought: why not try it with students? 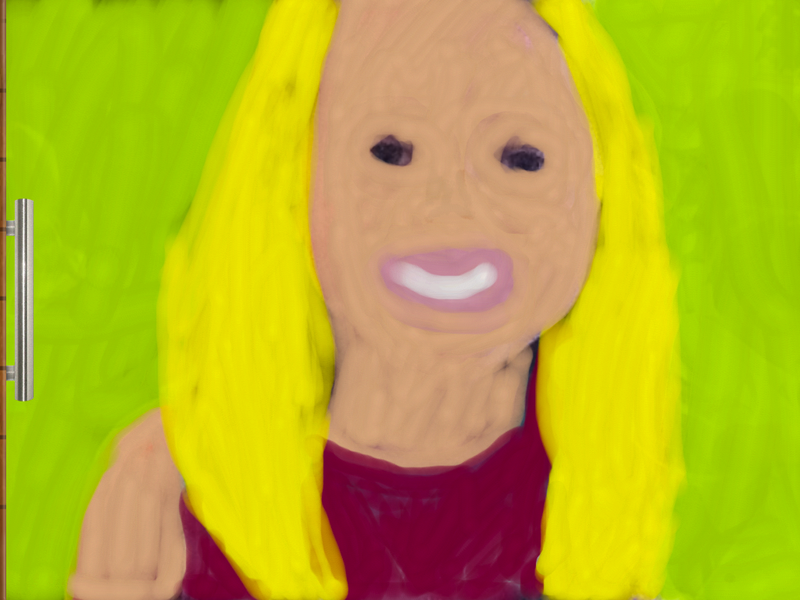 I started by pulling a variety of exemplars and popping them into my favorite tool…Padlet. This visual layout worked great in helping students see the variety of words and the visual/artistic element of the project. As they viewed it we talked about what we noticed and some things that we wanted to keep in mind as we made our choice. I asked students to view the Padlet through two lenses. 1) word choice and 2) design elements. Then students got to work, here is a photo of their hard work! They attacked this project with gusto. (I’m sure it was sounding better than revising those pesky feature articles.) Students used both traditional and digital tools to create their words. Then they each took a picture or screenshot, posted it to their blog, and wrote a bit about why the chose the word that they did. It’s tempting to over schoolify things sometimes so I didn’t set any expectation for their writing other than to explain why you chose the word you did. I took a big step back on this and just allowed students to do things however they wanted because I was hoping to encourage creativity and excitement. By making the one little word their own and not a “project for school” I hope they take it to heart and use it to help make 2015 an amazing year. It’s not too late for you and your students to find your one little word for the year! Will you try it tomorrow and let us know how it goes? It’s #5bookfriday! Won’t you join us? I recently wrote about ways to get students connected using Social Media, and one of those ways is to join #5bookfriday. 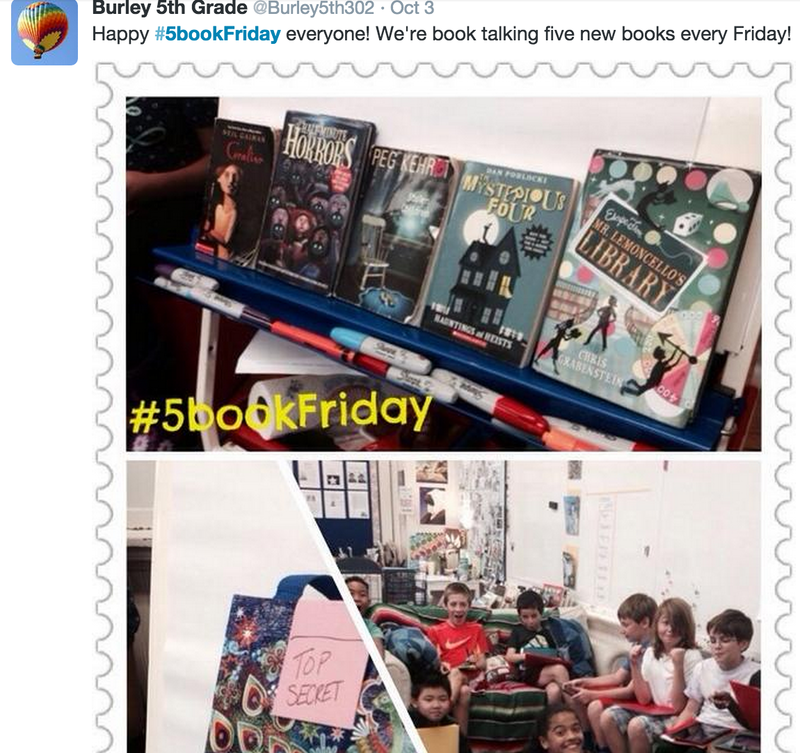 You don’t even have to be on Twitter to do this with your students, but it sure helps to have that connection and see what books are in students’ #5bookfriday bags. A book talk of five books that you are going to “sell” to your readers. Why: I started this because I was having trouble making sure to get to a book talk everyday in addition to the teaching, coaching, observing, preparing, book conferences, and more. How: Get a bag, any bag, fun and or silly works great. Stash five books that you want to sell to your students. Think about specific readers as you do so. Who has been looking lost lately? Who has been spending too much time searching for a book? Who needs a just right book? Who needs a challenge? You might group them by author or genre. One week I even did all similar covers. It might be five new books you just purchased or five classics. It’s up to you. Have students bring their reading interest lists to the carpet so they can jot down titles and authors. You may also need to have a few waiting lists ready for very popular titles. Then dramatically sell each book! When you’re done snap a quick picture before the stampede and fighting begins. If you have Twitter send out a picture of you five books using the hashtag #5bookfriday. My students LOVE this little tradition now. (To be honest they thought I was crazy the first time since I have a little jingle I sing, but they sing with me now.) Your enthusiasm will be their enthusiasm! 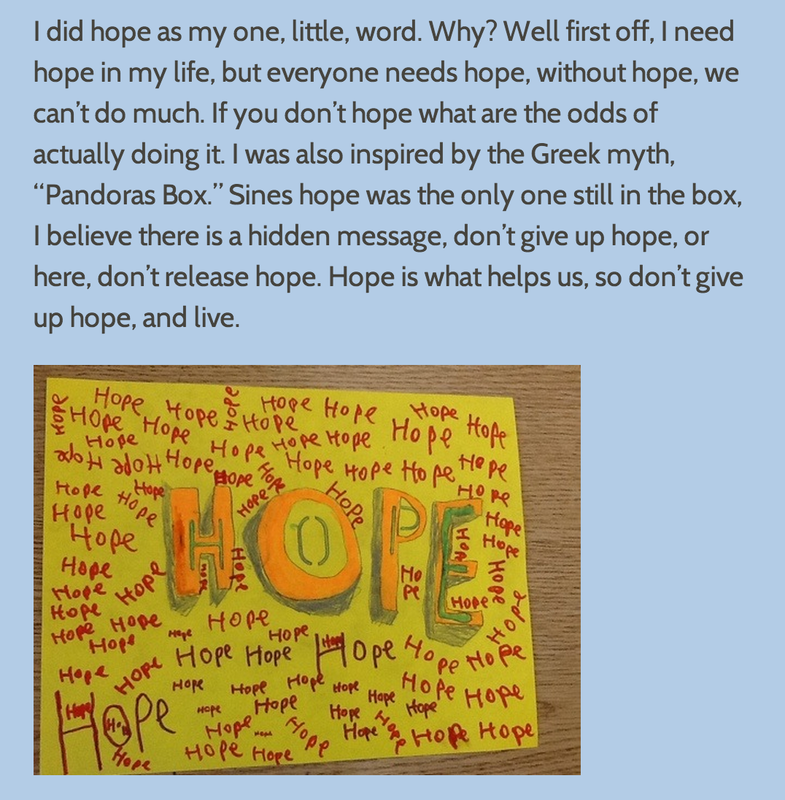 This post originally appeared on our blog Inquiry Live in the Classroom on November 5th, 2014. We felt that the content and ideas were consistent with the message of our new blog and that it was important enough to repost. 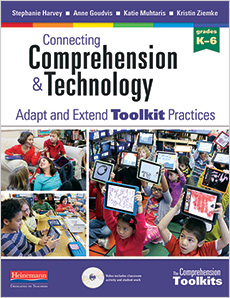 Note: This post, co-authored by Troy Hicks and Kristin Ziemke, has been prepared in response to Nancie Atwell’s blog post about the role of technology in her classroom. I do think classrooms in grades four or five and up should have computers, so kids can experience and experiment with word processing, but I have concerns about them in the younger grades. In fact, I think the trend of iPads in the primary classroom is a mistake. We’re grateful to Nancie for starting this conversation as districts across the country purchase more and more mobile devices without thinking about the pedagogical practices that must go hand-in-hand, if not lead, how we think about using these new tools. This dialogue is necessary and overdue. Nancie is one of the literacy leaders who has guided our thinking about student writing, the reading and writing workshop approach, and how best to frame our own thinking about the teaching of writing, both of us appreciate and admire Nancie’s work. We respect her opinions about what works in reading and writing classrooms. One of Kristin’s students composing both print and digital writing. We agree with Nancie that many schools are using technology poorly; instead of embracing redefinition as Dr. Puentedura has advocated for, teachers are often misguided and use digital devices for sight word practice, prompted responses and (sadly) weekly assessment and test prep. We recognize that there are poor models of classroom technology out there. We also respect and acknowledge how Nancie employs technology at her school. However, in this case, we humbly suggest that her opinion on students writing with technology is limited, and we feel compelled to offer a different vision of how students can become digital readers and writers. In 83 percent of 30 studies on the use of word processing software, students’ writing quality improved when they wrote their papers on a computer instead of writing by hand. The impact was largest for middle school students, but younger students benefited, too. The theory is that students feel more free to edit their sentences because it’s so easy to delete, add and move text on a computer. The more editing, the better the final essay. Steve Graham and Delores Perin shared these results in the 2007 Writing Next report, and — sadly — in many K-12 classrooms we still don’t see technology being used for revision and editing in this proven manner. Yet, word processing is just the beginning of what students can, and should, do with computers. Kristin’s students compose using a laptop. Second, as we dig a bit deeper into Nancie’s claim about using computers only for word processing, we know that there is more to consider. Indeed, we know from our own research, teaching, and professional writing that computers — as well as tablets and smart phones — provide students with countless opportunities for reading and writing. And, when we say “reading” and “writing,” we are talking about both traditional alphabetical texts (books, articles, essays, poems) as well as digital texts including blogs, ebooks, and hypertexts. Our professional organizations — such as NCTE, IRA, and NWP — have been calling for a broadened view of digital literacy for well over a decade. We would hope that Nancie would consider doing so, too. Now, to unpack the second part of her concern: that “the trend of iPads in the primary classroom is a mistake.” While Troy does not have the benefit of being in the classroom everyday with younger students, Kristin does. And, from this experience, she would argue that the primary grades are exactly where kids SHOULD be using technology as it transforms their ability to create, share their ideas and connect with an authentic audience beyond the classroom. In fact, it is essential. Let us explain a bit more. In the early childhood years, many students are challenged by the physicality it takes to produce a piece of writing. Ideas are often generated and lost before a young writer can transmit them to the paper. In today’s digital writing workshop, students can scaffold their own development by recording a video snapshot of the story they want to tell. Once the ideas are captured on video, the child can transfer the story to paper while going back to rewatch the video as many times as needed in order to remember and include all the parts of the story. Video recording tools allow us to meet the writer where he is and nudge him to become a more proficient writer and idea generator. Using digital publishing tools like the Book Creator App or Little Bird Tales, we find new ways to celebrate active literacy in the classroom as students can draw, write, speak, listen, view and read all within a piece they create. The ease of which a child can add audio to their own book signals to the learner that each child has a story to tell and is the owner of that story. Embedded audio provides a window into the thinking and gives us a picture of what a child knows and is able to do, not merely what their fine motor abilities allow them to produce on paper. Most importantly, technology expands our youngest learners audience as students publish their writing online. Enhanced eBooks, student blogs and classroom Twitter accounts invite primary age students to move beyond the writing wall in the classroom and into a writing world. Feedback from their families, blogging buddies and experts in the field inspires them to write even more. Students view themselves as important contributors to the global writing community and move beyond learning about writing to living life as a writer. And of course, we provide balance and choice in all we do. We explicitly teach kids that tablets and laptops are tools that writer’s use, just like paper and pencils. We want kids to be intentional about how they choose the tool and think about how the tool enables them to revise, alter the layout and share the writing. Moreover, these observations extend beyond the early grades. 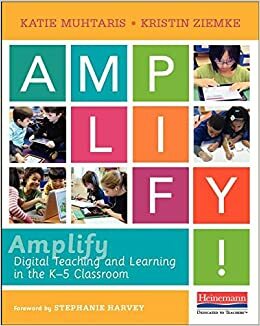 We can point to numerous examples where teachers in upper elementary, middle school, and high school are using digital reading and writing to support their students’ literacy development. As a point of reference for upper el and middle school, we would suggest that Nancie look at some really innovative educators who teach writing with technology such as Kevin Hodgson, Jeremy Hyler and Katharine Hale. Finally, we suggest that the concerns Atwell suggests are less about her students’ abilities — as well as the capabilities of the devices — and more about her stance as a teacher. Certainly, we want students to feel positive about their reading and writing experiences: reaching fluency with the written word, providing opportunities to talk about books with one another, holding a well-worn novel or favorite pen in our hands. These are tactile, valuable experiences. As she notes, there are social reasons embedded in writing and reading that make these practices both pedagogically useful as they humanize our classrooms. In this blog post, one of Kristin’s students shares her “wonders” as a part of an inquiry project. However, if as teachers we discount the opportunities that crafting digital writing and engaging in digital reading can offer students, then we are doing our students more than a disservice. We are failing to prepare them for academic, workplace, and real life opportunities to engage in literacy practices. This is not about our personal preferences for or against technology. It is about the ways that we teach students to become literate. We are grateful to Nancie as a thought leader and for her decades of work, as well as for her blog post in which she invites us all to reflect on the role of technology in our classrooms. However, we disagree with her stance that word processing is the only way to use technology in the writing workshop and encourage Nancie and others to rethink how we engage students as writers. We strongly believe the trend of iPads (or any tech) in elementary (or middle or high school classrooms) is, indeed, not a mistake, but a necessity. Photos provided by Kristin Ziemke. My fifth grade students have been growing connections with other fifth grade classrooms through Twitter. One of our friend classes is @5bfish, a group of students based in Hawaii. 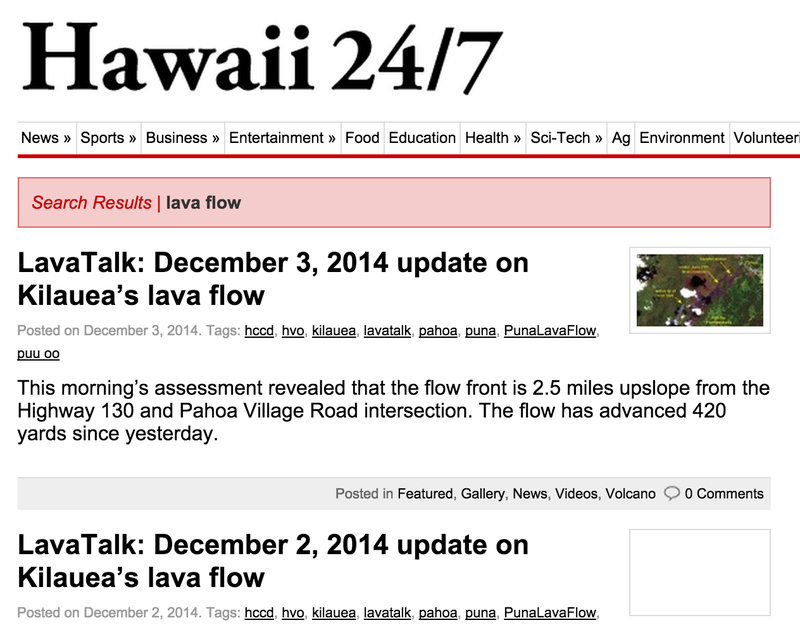 It was through their tweets that we discovered that there was an active lava flow threatening the village of Pahoa. As you can imagine this is a rather foreign concept to my Chicago kids, many of who have never even see a farm let alone an active volcano. As we began to follow their tweets and explore some of the news links that they sent us my students became more and more interested in what was going on. We began to view media clips and images of the active flow, do research on the volcano itself, learn about the Goddess Pele and how the cultural traditions of the Hawaiians were impacting the response to the lava flow. To tell you the truth it took on a life of its own. I began searching out supplemental resources and sharing them via Edmodo. 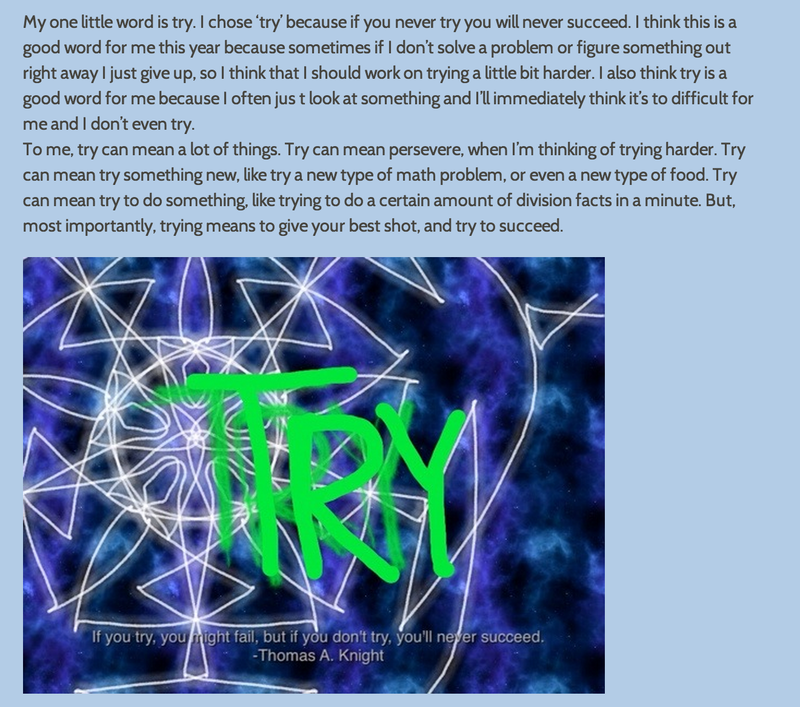 Then students began doing their own research and sharing videos, link, and images with each other via our Edmodo group. When we sat down to discuss what we wanted to do with this information students grasped onto the idea of creating their own news casts so that we could raise awareness of the issue. Then, we decided why no involve our Hawaii friends and ask them to join us as a sister news station in Hawaii. So we collaborated via Google docs on some questions to send them and they sent recordings back! Read at least 15 different articles, websites, and books on the topic. Viewed at least 6 different videos including interviews. Examined a live volcanic rock set. Tweeted questions to our 5BFish and other Hawaii sources and received responses. Practiced notetaking and synthesizing skills. Worked together to write a script including the most important parts of the topic. Collaborated on filming and editing. Practiced fluent reading from the vidoprompt app of their script. Improved their public speaking skills by speaking loudly and clearly for the recording. Collaborated on Google Drive to cowrite thoughtful follow up questions. We are in the editing and revising process now, examining video from our Hawaii friends and working on editing the footage that we took in front of the Green screen. I can’t wait until their newscasts are finished! What a fun and friendly inquiry this has been so far. What I love about this is that its homegrown, from the students, and following their passions. It’s helping them raise their cultural awareness as we explore how culture and science sometimes collide. Best of all, it’s helping them build global connections and meaningful learning partnerships with students halfway across the world. In the spirit of refreshing my own blog I’ve been thinking a lot about how I can help my students continue to find stamina and excitement for their blogging lives. One of the things that keeps me blogging is connection with community. When you feel the presence of your audience, or you are able to connect with others it gives you a sense of purpose in your work. It’s not just about sitting in front of a screen and spouting off whatever ideas come into our heads, it’s about connecting to the hearts and minds of our readers. It’s about inspiration. I want my students to feel inspired by their blogs. I wasn’t feeling that inspiration these last few weeks. I was feeling like our classroom blogging had become stale, and in my zest to help them improve the quality of their writing I had put to much of myself into their writing. 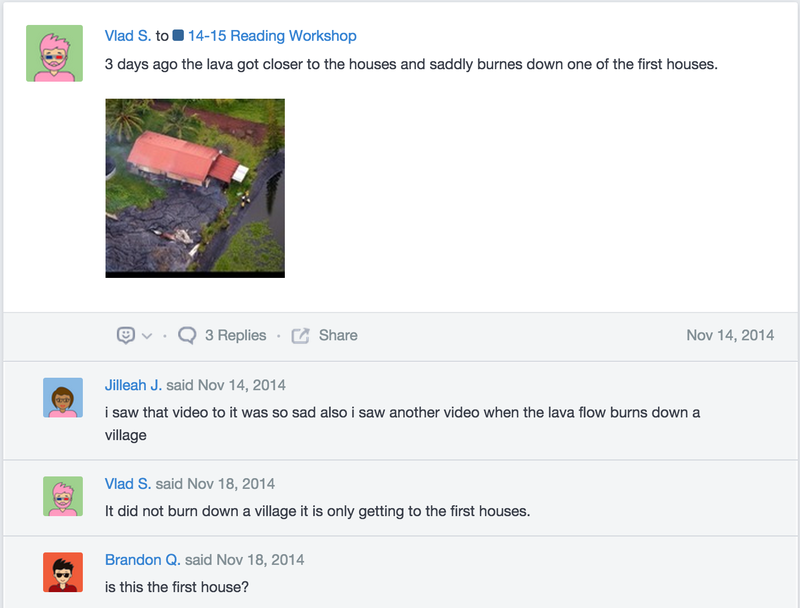 This is why I not only redesigned our class blogging home, but I also decided to connect them to some of the global blogging communities out there so that they can feel the presence of their peers from around the globe. We started our first experiment last week by posting “It’s Monday What Are You Reading” posts. Students read a few examples before getting started. It worked well since it was Thanksgiving week, a very short week, and the format of the post was much shorter than what we had been previously doing. Although there was less writing, students put some nice thought into their last several book choices and I used this as a jumping off point in my conversations about book choice with students. This week we dipped our toe into the Nerdy Book Club. This start was a little more intensive as we needed to first read many posts on their blog to get a sense of what types of posts would fit, and we spent a good deal of time talking about the Nerdy Book Club community, who started it and why, and why it was important. Students first posts were a bit tentative but they were excited by the freedom and choice that came with it! As their teacher I was happy to see their zest but frustrated to see the amount and quality of writing decrease. That will be something that we discuss together this week as we go back and revise posts, and it will be something that I will look carefully at to see where I can help students find the stamina to write long and strong. We also jumped into a less formal community that I’m calling Wonder Wednesday. This is based on the Wonderopolis Website and the fact that it sounds really swell. There isn’t really a blogging community per se but there is lots of great wondering going on on the Wonderopolis site in the comments section and on Twitter using the hashtag #wonderwednesday so I sort of launched a Guerilla style round up today to see what would happen. Students read about wonders, left comments on my post, and added to our wonder wall. In future weeks we’ll be taking wonders and doing some mini-inquiry to see if we can find answers! So I’m anticipating some more authentic blogging opportunities there. We also contacted a bunch of other fifth grade classes on Twitter and even got them to join us! Some upcoming communities we will participate in are the Slice of Life challenge in March, although I’m thinking of getting them started a bit earlier on this with some Tuesday Slice of Life writing sessions. We will also be popping into Poetry Friday and Chalk-a-Bration at some point, but for now we’re just taking it a little bit at time. 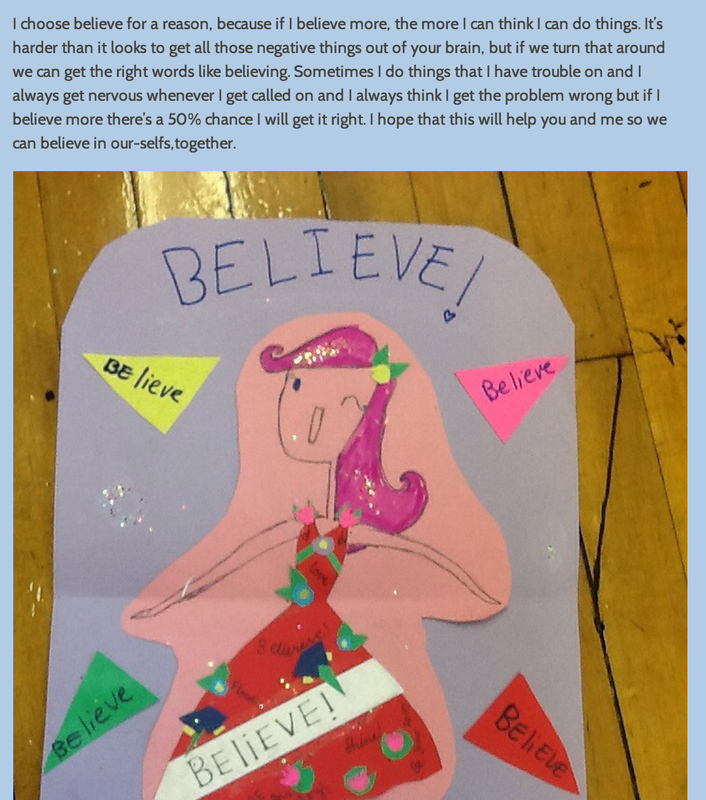 I’m feeling pretty inspired and so are my students so I’d say overall we’re accomplishing our goal.